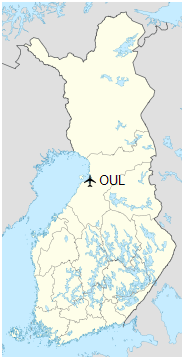 Oulu Airport (IATA: OUL, ICAO: EFOU; Finnish: Oulun lentoasema, Swedish: Uleåborgs flygplats) is located in Oulu, Finland, 5.7 NM (10.6 km; 6.6 mi) south-west of the city centre. 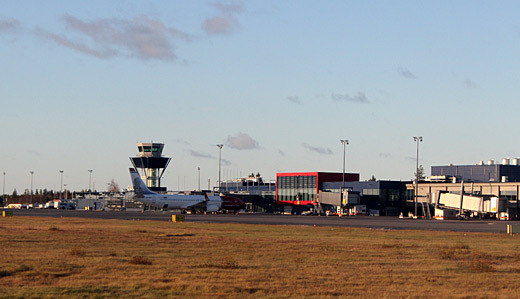 The airport is the second busiest in Finland after Helsinki-Vantaa Airport, as measured by the number of passengers (ca. 1.1 million in 2018). There are around twenty daily flights to Helsinki. 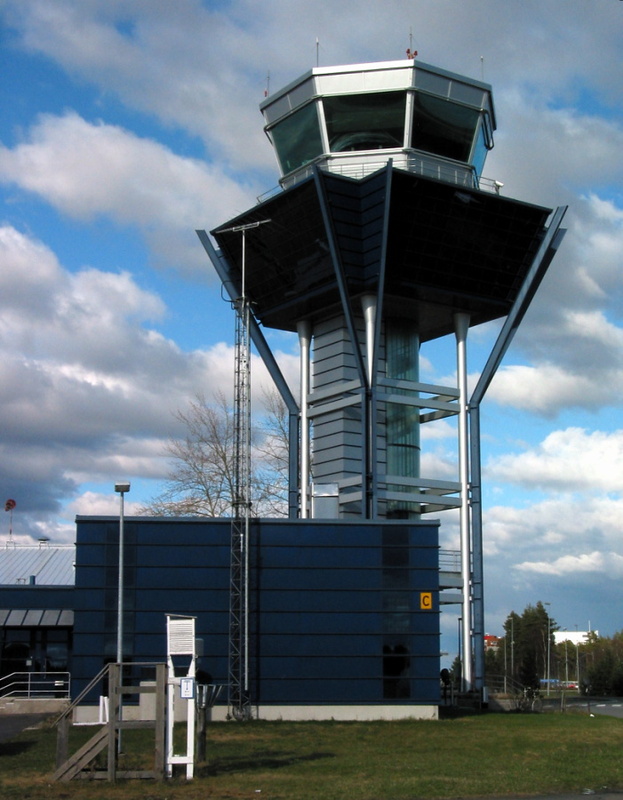 Oulu Airport is also extensively used by the Finnish Air Force for training purposes. Recently the old terminal was demolished for more apron space. A major extension of the main terminal was completed in September 2011. Four new jetbridge gates (gates 13–16) were constructed and the main terminal was expanded by 4,300 square metres (46,000 sq ft), raising the capacity of the airport to 1.5 million passengers per year. The managing body of the airport is Finavia. Oulu Airport has offered free wireless network access for passengers since May 2007.
airBaltic used to operate flights from Oulu Airport to Riga, Turku and other destinations. On 23 September 2010 the company announced that it will open a hub in Oulu, which would mean 10–15 direct destinations out of Oulu. The hub was due to open at the turn of the year 2012/13. The plan was cancelled, however, due to AirBaltic’s economical problems. On 28 October 2012 the airline ceased all existing operations to Oulu. Oulu Airport has one runway, 12/30, which is 2,501 m (8,205 ft) long and 60 m (197 ft) wide. Runway 12 is equipped with Category II Instrument landing system. The runway was renewed in summer 2017.